RSRA has been well-represented in the VHSL state tournament this year. 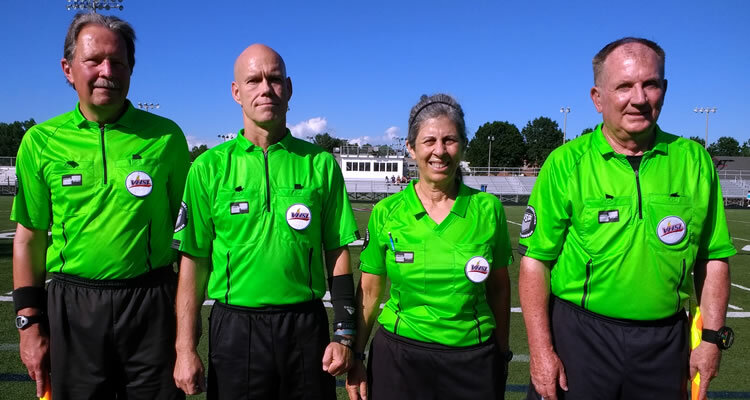 Starting with quarterfinals on Monday, June 4, we had the crew at Albemarle HS of Dave Nordquist, John Habina (CR), Barbara Brandao and Dan Phillips for Albemarle girls vs. Potomac Falls. 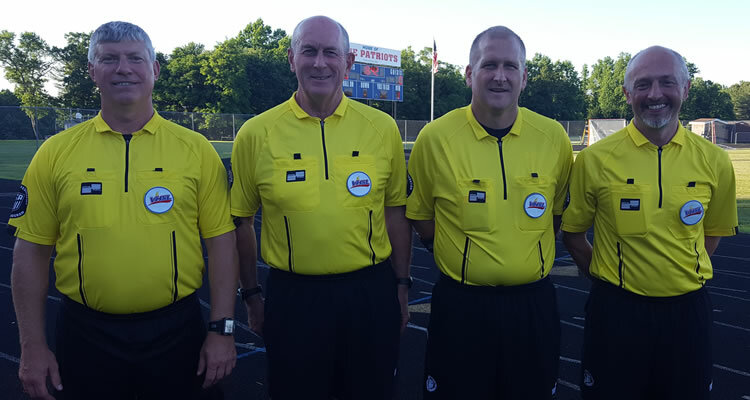 Also on June 4, at Albemarle HS, we had the crew of David Rombough, Keith Armstrong, Dennis Ray (CR) and Adrian Batchelor for Albemarle boys vs. Wakefield. 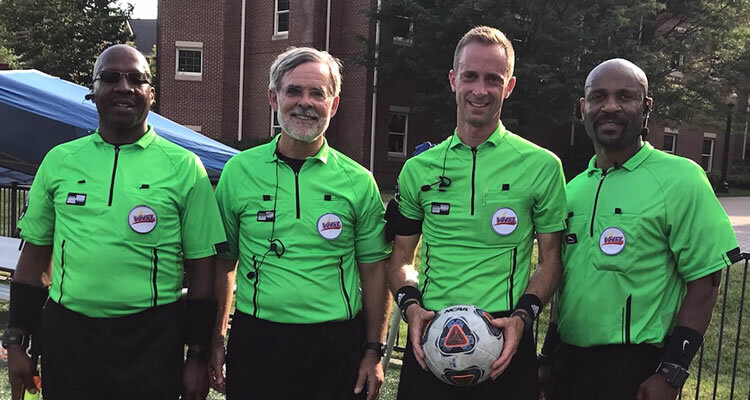 On Tuesday, June 5, quarterfinal action at Briar Woods HS featured the crew of Eric Kleis, Blake Blunkall (CR), Tim Piester and Mark Bailey, for Briar Woods boys vs. Mountain View. Rounding out our quarterfinal assignments, at Hanover HS, were Theo Felder, Kris Kintzel, Keith Armstrong (CR) and Kirk Hood, for Hanover v. Jamestown. Congrats to all crews and now on to the semi-finals! 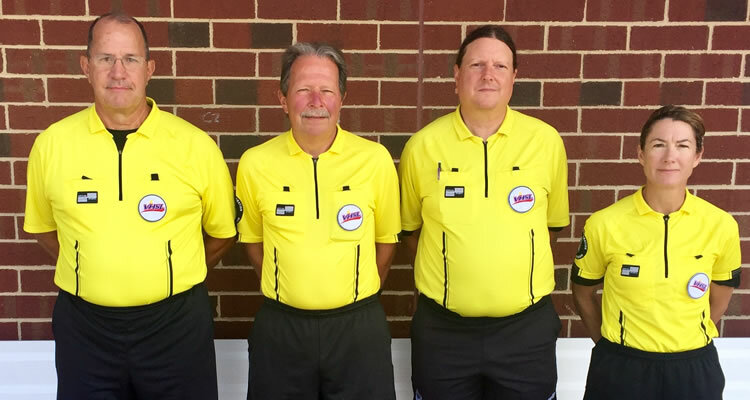 On June 8, working the girls’ semi-final at Glen Allen between Deep Run and Douglas Freeman, were Brian Murphy, David Nordquist (CR), Ray Parrish and Kris Kintzel. 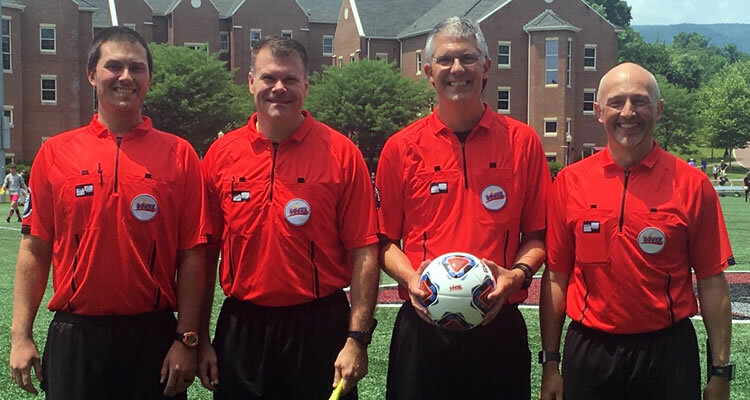 For the boys’ semi-final at Roanoke College between York and Manassas Park, crew members were Matthew Bailey, Ray Pittman, Mark Bailey (CR) and Adrian Batchelor. In other semi-final action, First Colonial girls played Frank Cox at Deep Run High School. 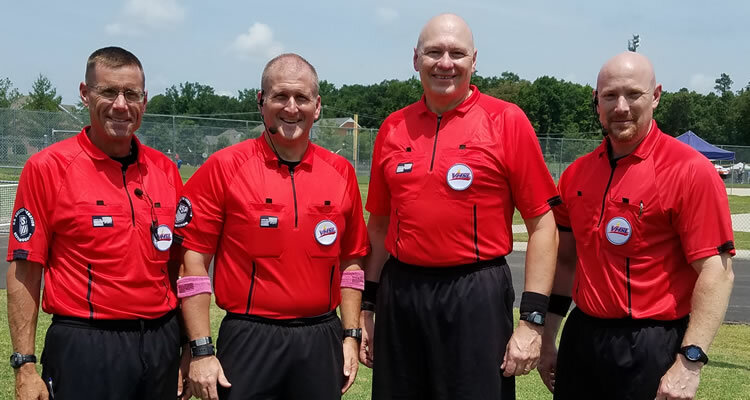 The officiating crew was David Grossweiler, Dennis Ray (CR), Greg Hauck and Kirk Hood. The Class 4 boys State Championship game was between Grafton and Blacksburg at Roanoke College on Saturday, June 9. 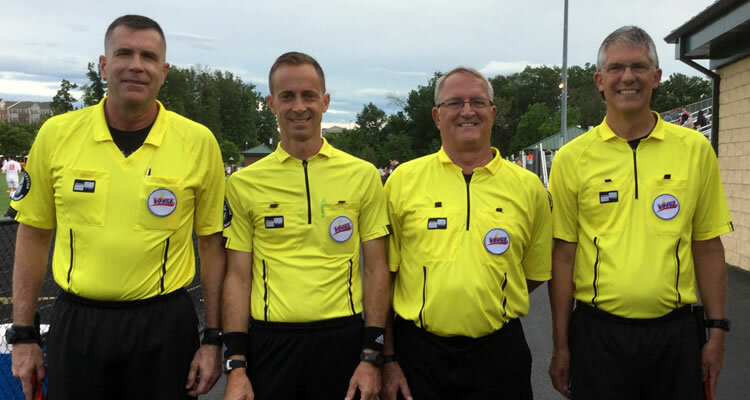 The officiating crew representing RSRA was Dallas Gravette, Jeff Unger, Blake Blunkall (CR) and Yonel Beaulieu. 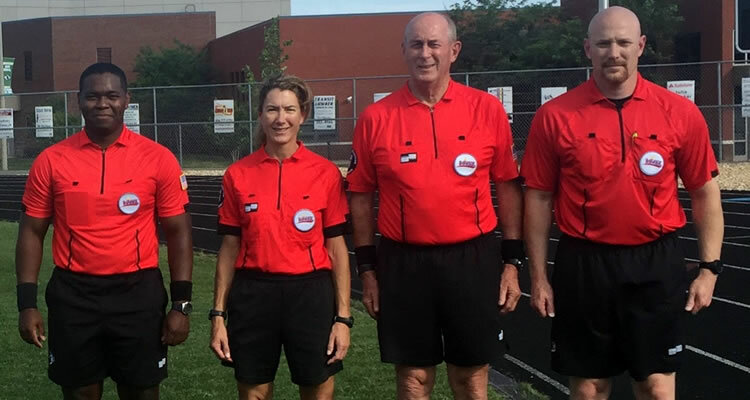 Congratulations to all officiating crews for a job well-done this season!